The New Pure Hemp X-Small Rolling Tray is the personal sized tray for rolling just about anywhere. 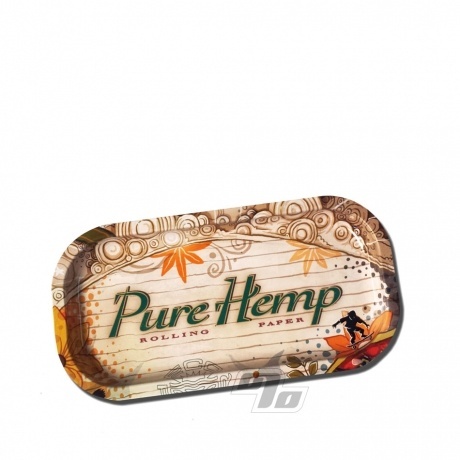 Light but strong metal tray with curved edges to hold all your herbs and papers as you roll some smokes up without spillage. This X-Small Pure Hemp Rolling Tray measures 8x4 Inches and is adorned with a section of Pure Hemp's classic "It Doesn't Grow On Trees" art. Great artwork. Nice size work tray for your bench. I have this + Raw mini & small. This one's the best looking & size for all around use if you must get just one.